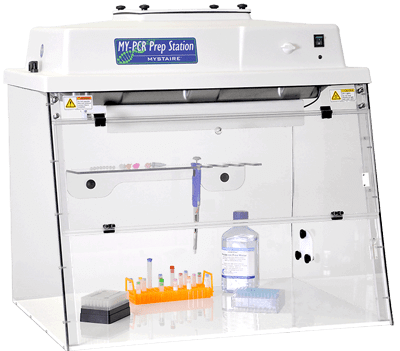 Mystaire® PCR Prep Stations are compact ISO5 flow enclosures that reduce the risk of sample contamination while performing polymerase chain reaction experiments. Purchase a MY-PCR Workstation and receive a FREE pack of (4) UV Bulbs and (12) Prefilters. A savings of up to $500. Promotional Offer valid through July 4th, 2019. Use Promo Code: MY-PCR2019 when ordering.